The internet has changed the face of many businesses. We’ve seen this first hand with the struggling newspaper industry as individuals have started to have worldwide news instantly delivered right on their virtual doorstep. Consumers can now order whatever they can think of with the click of a button and receive it from across a continent in a matter of days. The internet is a valuable, powerful tool. The Israel Diamond Exchange is the largest diamond exchange in the world. A private company named for its geographic location, this organization is responsible for marketing, exporting, cutting, trading, and brokering loose diamonds into the world market. The head office speaks to the magnitude of this business, hosting 1,000 office rooms, restaurants, banks, and couriers. Needless to say, it has come a long way from its humble beginnings in a rented office space in 1951. Due to the success and notoriety of the Israel Diamond Exchange, everyone wants a piece of the pie. Technological advances, particularly in relation to the internet, have made the exchange more accessible from around the world. Before the days when the internet dominated our daily lives, learning about diamonds was a precious skill awarded only to aspiring tradesmen in the jewel industry. Before purchasing anything, the product would be closely inspected for clarity, color, cut, and carat, which is known as The Four Cs, a term coined by GIA. These methods of assessing quality created an industry standard that is still used today. Today, The Four Cs are still assessed and certified by GIA. 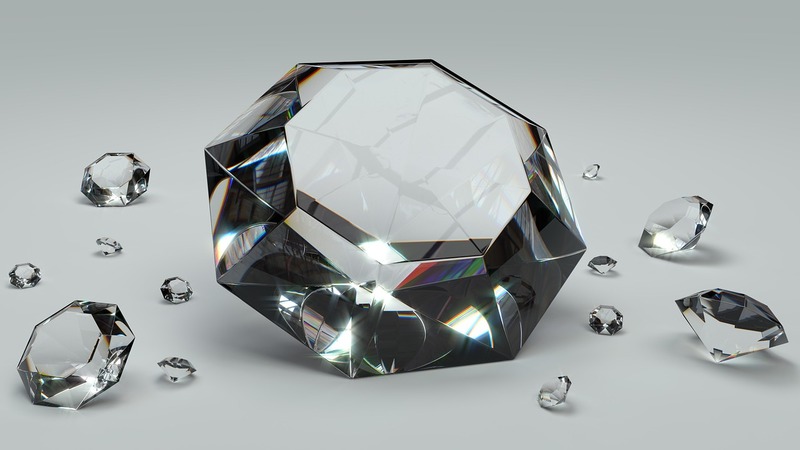 However, the close inspection of the past is no longer standard operating procedure for aspiring diamond traders, especially when purchasing remotely. The internet has removed the need for in-person trading. Potential buyers can do their research online and determine all they need to know about reputable buyers and diamond quality. A potential buyer in the United States of America can look at diamonds in the Israel Diamond Exchange from the comfort of their office using their phone or laptop. Diamond Trading Online, which was unheard of in the past, has now become a substantial piece of the market. The speed at which these exchanges are made replicates the fast-paced society in which we live. Whereas deals could take weeks of negotiation and review in the past, potential buyers now expect a response within minutes of making an inquiry. Sellers who can’t keep up risk losing the business to someone keener. Perhaps the greatest change in the diamond industry has been the willingness of everyday shoppers to purchase their jewelry online. The mistrust and mystery shrouding internet sales during the early 2000s is a thing of the past, and ordering online has become the norm. While the internet can never make up for the training and industry knowledge of professionals in the business, average consumers don’t let the information gap stop them from buying. In a recent study, 11% of respondents indicated that they purchased their engagement ring online. This speaks to an increase in online activity not only in loose diamonds and business exchange, but in the B2C market as well. Consumers and business traders alike are thrilled with the faster response times, accessibility, lower overhead cost, and often better prices associated with the online shopping experience. While online buying may be the norm in modern society, it is important to do your research. Find a reputable broker, seller or website with which to conduct your business. Never underestimate the power of education and industry experience. Stay up to date on pricing and B2B reports to ensure you’re getting the best deal and best quality possible.